Read-out Instrumentation Signpost: Fibre Optic Media Converter range extended! With over 30 years’ experience in automation and communication, Advantech is aware that the demand for media conversion is increasing, and understands the difficulty involved in replacing or rewiring existing devices. These new fibre optic media converters are especially suitable for users looking to meeting their ongoing requirement with minimal costs and effort. 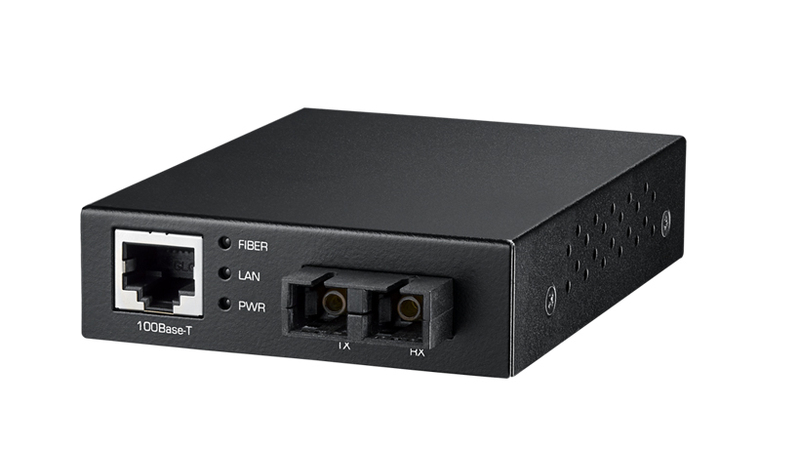 With the ability to connect two dissimilar media types, these new media converters are simple to install allowing networks to be commissioned quickly. The EKI-2541/2741 series media converters provide cost benefits by affordably integrating fibre infrastructure and copper equipment, an ideal solution for “fibre to building” applications for central offices or local sites. Typical applications include power and energy, transportation (ITS), machine and control automation, building automation and factory automation. Automatically detect if the link partner is MDI or MDI-X. Auto-MDI/MDIX can be enabled or disabled. When the function is disabled, the port reverts to MDI mode. Unaffected by electromagnetic interference fibre is normally used in EMI noisy environments, or in situations where cabling distance exceeds the 100m maximum offered by copper cabling . In addition fibre is future proof, as applications that need higher speeds and distances appear fibre is the only cabling type capable of supporting these demands. The EKI-2541ML and EKI-2541SL have 1 x 10/100Mbps Ethernet RJ-45 connector and 1 x 100Mbps multi/single mode SC type fibre port. EKI-2741ML/SL/FL offer 1 x 10/100/1000Mbps Ethernet RJ-45 connector with 1 x 100/1000Mbps Ethernet port with SFP or 1 x 1000Mbps multi/single mode SC fibre port for 1000Base-SX/LX device. Using fibre conversion ensures ease of installation, low cost and flexibility so allowing the customer to build a flexible communications infrastructure, protect their investment and provide seamless connectivity.